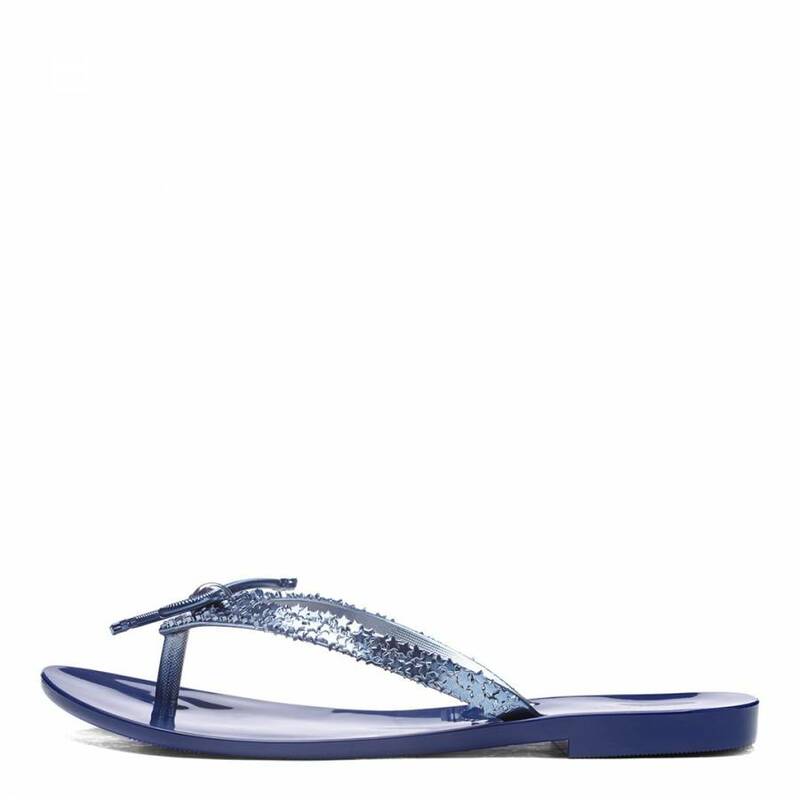 The classic Harmonic style features a thong strap with a chrome shine finish with intricate star detailing and a bow adorned on the toe. This style is featured in a deep midnight blue hue for a stylish design. This style crafted from PVC. Features a padded footbed with Melissa signature fruit scent, adding a unique touch to this style.